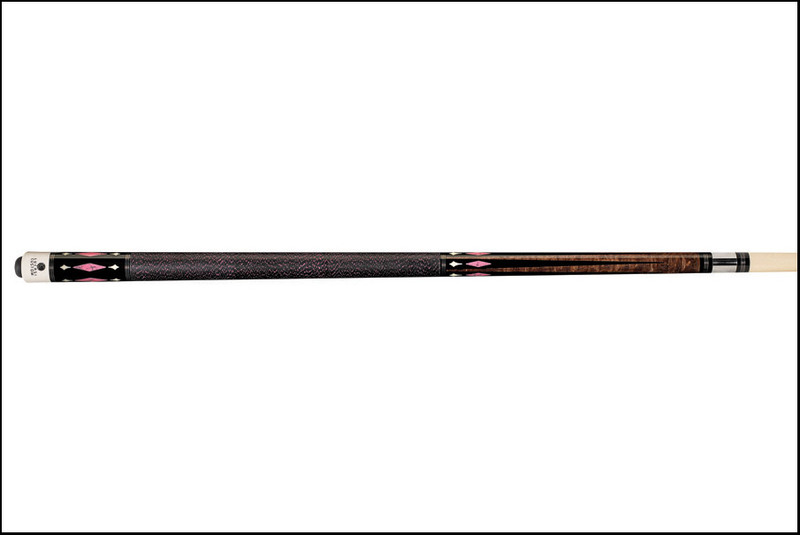 The Lucasi LZL30 is the Ladies Favorite in their new line of custom cues. Lucasi took their already awesome classics and supercharged them for optimum performance. The LZL30 is made with an Antiqued Super Birdseye Maple, Black Six-point with Pink Recon Stone & Imitation Bone Inlays and a Black and Pink Double-pressed Irish Linen wrap. Want to make a woman in your life super happy? The LZL30 should do the job, if she likes to play pool that is.